As demonstrated by India's latest anti-satellite (ASAT) test, the number of countries willing to pursue ASAT weapons and capabilities in space is growing. The rising great power competition among Russia, China and the United States is driving ASAT use and development. ASAT technology produces dangerous space debris that can disable important satellites and challenge the long-term sustainable use of space. Unfortunately, adequate norms and treaties do not exist to regulate the ASAT risk, and the tense dynamics among global powers suggest they are unlikely to be formed in the near future. This is part 2 of a three-part series considering the way in which a Taiwan invasion may be conducted. Part 1 set the political basis and military parameters and timeline for such a contingency, stating a late 2019 onset of conflict. The air domain of the conflict was also discussed, arguing that Republic of China Air Force (ROCAF) fighter forces and Republic of China Armed Forces (ROCArF) air defenses and early warning systems would likely suffer significant early losses and disadvantages in terms of situational awareness, fighter sortie rates, and IADS coherency. Part 2 now will consider the goals and prospects of other People’s Liberation Army’s (PLA) kinetic domains, including missile power, naval power, and the beach landing. As described in part 1, this series will only consider first week of active fighting (T-day to T-day+7), with the conclusion that the PLA will seek to have successfully conducted amphibious assaults to have attained at least one or more major beachheads. Part 3 next month will review methods in which the ROCArF may seek to counter existing PLA capabilities as well as to consider what the likely future trajectory of PLA development may mean for ROCArF prospects in the next decade or more. Last June, German police arrested a man planning a terror attack by releasing large quantities of the biological toxin ricin, said to be 6,000 times more poisonous than cyanide. The raids on a block of flats in Cologne blew the lid off our worst fears: non-state actors laying their hands on bioweapons. Technology has always changed war and its arsenal. Scientists, security experts and diplomats are increasingly talking about biological weapons when they discuss strategies to prevent proliferation of conventional and nuclear weapons. While biological attacks have been rare since the end of World War II, isolated incidents have been reported. The ‘anthrax letters’, which killed five people in the US following 9/11, is one such incident. 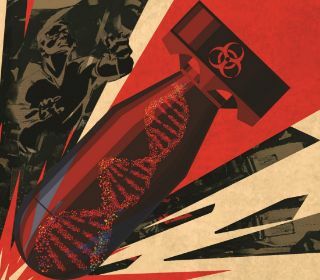 The renewed attention to biological warfare also stems from advances in gene editing technologies. CRISPR-based technologies have allowed humans to edit genomes and manipulate organisms with precision at a low cost. The use of these technologies in humans, plants, animals and micro-organisms has spread rapidly. CRISPR has broken out of labs into garages and DIY kits. This ‘democratisation’ of science has triggered concerns about the misuse of technology to create pathogens that can be weaponised. According to Tim Prior, the ‘fifth wave’ of deterrence development is rising at a point when established approaches are fumbling to provide an effective response to complex contemporary security threats. However, Prior believes that an answer lies in resilience thinking. Indeed, he argues that resilience can increase the ability of security institutions to cope with complex threats, for instance, by reducing vulnerabilities and denying threatening actors suitable targets for their attacks. The concept of resilience is becoming more relevant for current deterrence debates at a time of evolving threats. 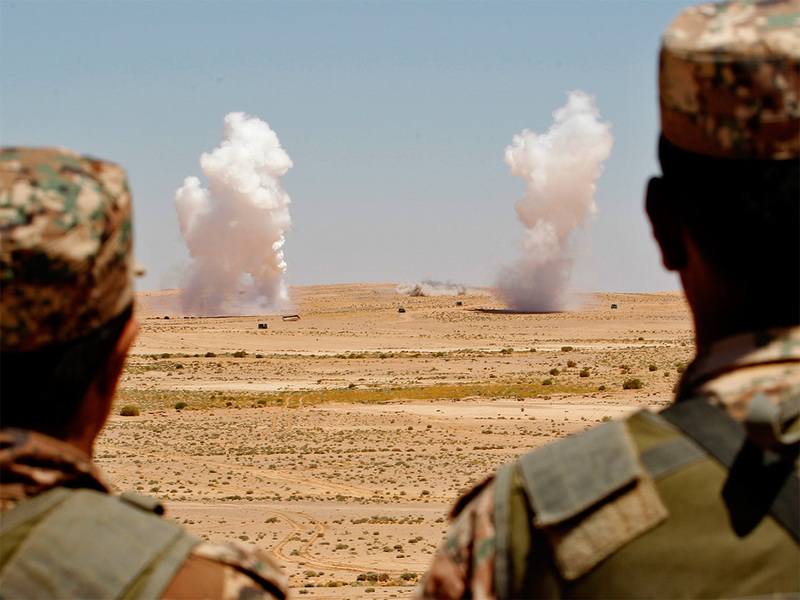 The fifth wave of deterrence development is rising at a point when established international security practices are fumbling to respond effectively to security challenges. Resilience can increase the ability of security institutions to cope with and respond to complex threats in a deliberative manner. Security policy decision-making processes must match the complex threat environment they seek to govern by being flexible, proactive, and distributed. 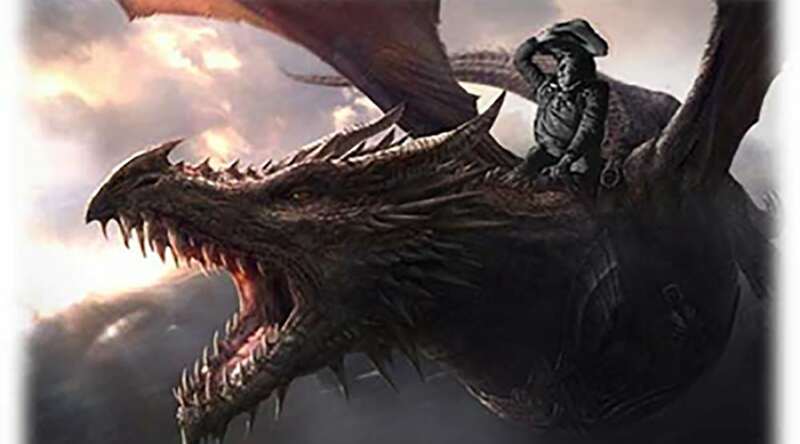 On the surface, Game of Thrones is merely another cable television series with the requisite battles, backstabbing court intrigue, and scantily clad (or unclad) characters. But it has deeper meanings with a surprising number of lessons about peace and security for real life. Commentators from institutions such as the Fletcher School of Diplomacy, Foreign Policy, and the Atlantic.com have written about how this HBO show—based upon George R.R. Martin’s epic fantasy series, A Song of Fire and Ice—helps explain international relations in the real world. One parallel, however, has escaped analysis: dragons as living, fire-breathing metaphors for nuclear weapons. Despite the fantasy setting, the story teaches a great deal about the inherent dangers that come with managing these game-changing agents, their propensity for accidents, the relative benefits they grant their masters, and the strain these weapons impose upon those wielding them. U.S. President Donald Trump signed an executive order March 26 outlining the administration's policy pertaining to the threat of an electromagnetic pulse (EMP). The policy mandates that a variety of government agencies coordinate with the private sector to warn of an impending EMP, and to take measures to prepare for, protect against, respond to and recover from an EMP event — outlining specific tasks for the departments of Homeland Security, Defense and Energy, among other agencies. Per the new mandate, the secretary of Homeland Security — in consultation with the aforementioned government agencies, organizations and private sector partners — will now submit regular reports to the U.S. president that not only analyze the technological options available to improve the resilience of critical infrastructure to the effects of EMPs, but identify gaps in available technologies to help guide research and development efforts. 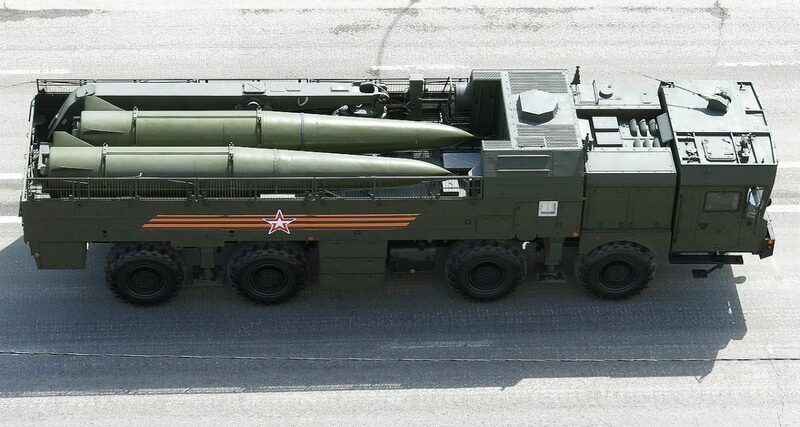 In the year since Russian President Vladimir Putin declared to the world that his nation had successfully tested a hypersonic weapon, funding for similar weapons in the U.S. has greatly increased. The Pentagon now plans to spend an average of over $2 billion per year through 2024 on developing hypersonic systems for the Air Force, Army and Navy. 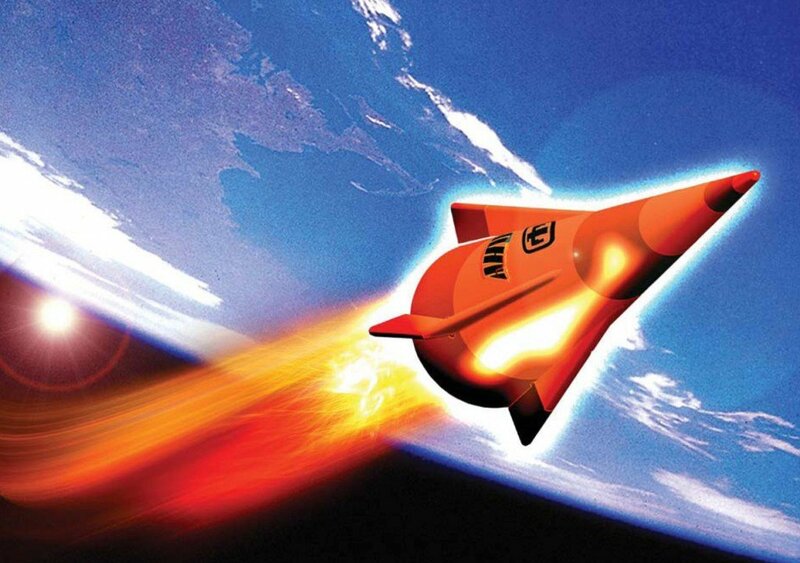 Hypersonic weapons typically move at over five times the speed of sound, meaning faster than a mile per second. But it isn’t just sheer speed that makes them different from existing weapons. 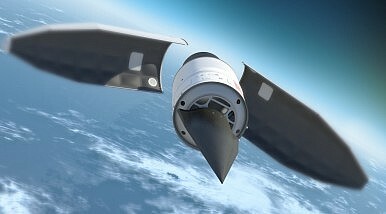 Unlike long-range ballistic missile warheads that can approach 25 times the speed of sound as they reenter the atmosphere, emerging hypersonic weapons can glide and maneuver. That makes them devilishly hard to track or intercept, because they don’t follow a predictable trajectory the way that the warheads from an intercontinental ballistic missile might. Once launched, their path to targets is unpredictable, and thus it will not be clear until very late in their flight what the intended target is. At that point, it is too late for defensive preparations. Way back in the 1970s, when NASA was contemplating the future after the Apollo moon landings, it was thinking big—really big. Two of its big ideas—Gerard K. O’Neill’s proposed space coloniesand the idea of space solar power systems—were all the rage then. It was a grand vision for a space-based economy that would transform global society. NASA’s lunar plans failed to secure U.S. government support, and the massive funding of the 1960s moon race had come to a screeching halt by the mid-1970s. Also problematic was that NASA’s space shuttle, which first flew in 1981, never delivered on promises of low-cost access to space. Without a decrease in the cost of access, the price of space-based solar power would never be competitive with terrestrial sources of energy. Finally, we were ignorant of climate change—and coal was cheap and plentiful. So it’s interesting that, 50 years later, China seems very interested in building solar power satellites of its own. The move is important for a number of reasons, and not just in terms of pure space exploration. Before India conducted its nuclear tests in 1998, its nuclear intentions were a matter of widespread speculation. Subsequent to the declaration of a doctrine (as a draft in 1999 and then through a press note on 2003) clearly spelling out attributes of its nuclear strategy, conjectures continue to be made on its capability trajectory. 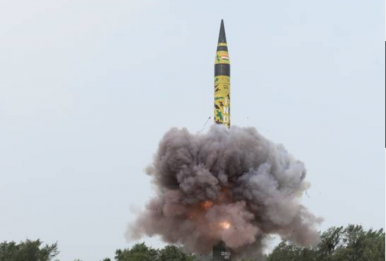 Will India stick to minimum deterrence? Is it moving beyond a strategy of deterrence by punishment premised on counter-value retaliation to developing capabilities that can allow counter-force targeting? Will India then give up its no first use (NFU) doctrine? With the second US-North Korea summit having come and gone with no discernible sign of Pyongyang’s willingness to denuclearize, the topic of nuclear weapons remains at the forefront of discussions in national security and defense policy circles. And yet these discussions routinely treat nuclear weapons as a monolithic category of unthinkably destructive power, rather than acknowledging the graduated scale that extends all the way down to the tactical level. Even the Army’s institutional knowledge on the topic has drastically—and dangerously—eroded. President George H.W. Bush’s Presidential Nuclear Initiatives in the early 1990s resulted in the withdrawal and dismantlement of the Army’s short-range, ground-launched nuclear weapons (like artillery-fired projectiles and missile warheads). As a consequence, the wider Army has assumed that these weapons have been relegated largely to history, and allowed its intellectual culture to atrophy accordingly. Most leaders in the Army today would likely struggle to even explain what a STRIKEWARN message is, let alone what it consists of and what they need to extract from it to protect their units. If the United States is to have a chance at warding off new hypersonic weapons being tested and fielded by Russia and China, its defensive framework will need to integrate cyber and other emerging “non-kinetic” capabilities. But it appears that industry and Defense Department requirements officials are focusing on creating kinetic interceptors, giving dangerously short shrift to the new capabilities. Nor does recent experience suggest that the Pentagon is integrating these new defenses tightly enough to bring them to bear on these new high-speed weapons. MADRID – Ten years ago, during his first trip to Europe as US president, Barack Obama delivered an historic speech in Prague. Much to the delight of the crowd, Obama described a world free of nuclear arms as being both desirable and within reach. That declaration was unprecedented for an American president, and would contribute to his winning the Nobel Peace Prize later that year. The Pakistani Nuclear Bombast! Is there a method in the madness? Several times in the recent past senior Pakistani officials have warned that dispute over Kashmir could escalate into a nuclear war on the sub-continent. These statements by themselves do not constitute acts that will push the South Asian nuclear clock any closer to Armageddon. Yet this nuclear saber rattling is not without reason and purpose. Even though there is little risk of a nuclear world war anymore, because of their awesome power and potential to inflict sudden and massive violence on large populations, nuclear weapons inspire tremendous and often irrational fear, however infinitesimal the probabilities of their use. When both the adversaries have nuclear weapons you have a balance of terror. The fact that the fallout from nuclear explosions tend to impact on countries quite distant from the sites of usage, gives other nations the right to be concerned. As a matter of fact, under the prevailing international regime any war involving even conventional forces cannot remain a local affair for long to be sorted out by just the two adversaries. Where there is even the smallest risk of an escalation to nuclear conflict, that intervention could be quite quick. This is what the Pakistanis are counting on. Given the prevalent worldwide mood on terrorism and the general acceptance that Pakistan has been involved up to its neck with terrorists like the late but less lamented Osama bin Laden and the Lashkar-e-Tolba, it would seem that even India plays this game from time to time. During Op Parakram we witnessed a deliberate turning up of the ratchet towards a war with Pakistan. Nevertheless were are not closer or farther from war when Indian strike formations were deployed to the front line for the simple reason that there is no such thing as being close to war. One can only be ready for war.